If your goal is to build a complete, symmetrical physique, you simply can’t allow yourself to avoid the forearms. Your forearms are a complex group of muscles composed of wrist extensors, wrist flexors and the brachioradialis muscles, that rarely gets the attention it deserves. Working on your forearms is not only aesthetically important, as their development is very noticeable on stage, but it can also enhance your grip strength and assist with pulling exercises. But let’s be honest – impressive forearm development is often linked to specific genetic advantages and in those with less genetic potential, building ripped forearms requires a ton of patience and hard work. In these terms, the forearms are very similar to the calves – success will only come if you train them very hard and very often, preferably with specific exercises that allow for a full contraction. They incidental work they get whenever you grab a bar or rearrange your furniture is not enough to make them explode. Unless you enjoy having skinny arms and a weak grip strength, focus on building thicker, fuller forearms to improve both your appearance and strength capacity. 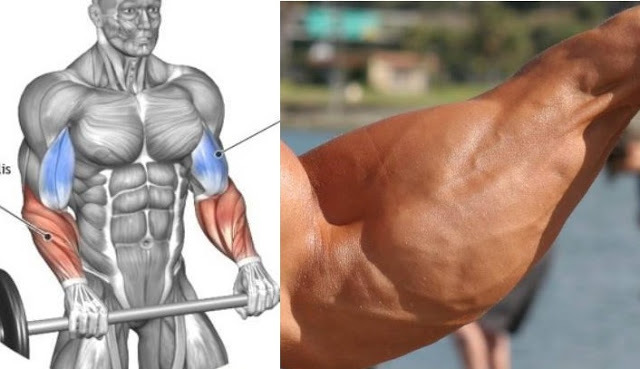 First of all, you should take advantage of the existing ways your forearms get already worked by saving the curl variations for your arm day and deadlift on lower body and back days. Also, it wouldn’t hurt to improve your grip strength a bit – working on your grip will both develop your forearms and increase your capacity for heavy lifting. Finally, the following two workouts will help you really push those forearm muscles to grow.